Jane Cunningham, Director of International Associations at BestCities breaks down this year’s Incredible Impacts winners. What do judges look for when choosing an Incredible Impacts winner? What stands out in an entry? And what are the top conference trends that came out of 2018’s event? 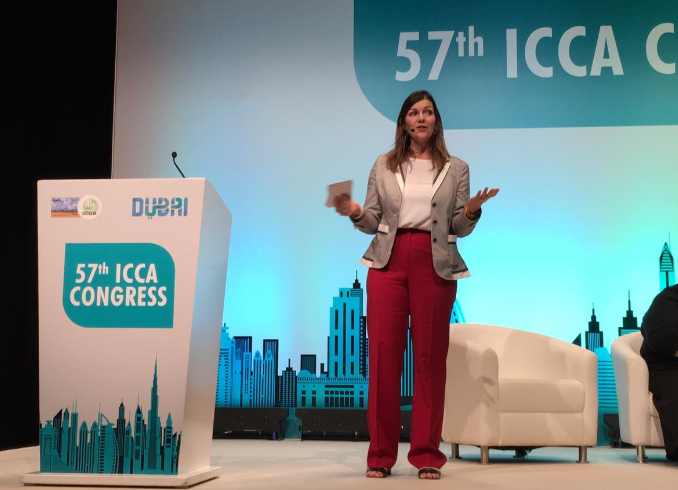 Jane Cunningham, Director of International Associations at BestCities, breaks down this year’s Incredible Impacts winners and gives her tips on getting involved next year. It was great to see even more diversity in this year’s submissions. Often when we think about making an ‘impact,’ we think about health and medical impacts in the destination, how we’re making an impact on people’s health and livelihoods. However, really there are countless ways to make an incredible impact. For example, we had everything from the International Association of Science Parks, to tourist guides, environmental education, family therapy – a real variety. It’s really exciting to see these organisations realising the real impact they have in their industry through meetings and conferences. 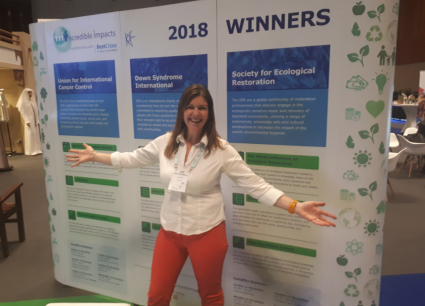 Another trend that we noticed was that in six of the 19 submissions, there was a strong message of sustainable development – including winning association, the Society for Ecological Restoration (SER). I’d be interested to know if the societies are reporting to the UN on how their meetings have an impact towards the UN’s goals, or if they simply use these as guidelines. Finally, youth involvement was a trend that we observed with several of the submissions. This was really interesting to us as it appears that by speaking to children about specific topics, it helps encourage them to consider that path when they come to study. There is a higher chance therefore that they will be connected to the association as they progress. Meanwhile, Down Syndrome International (DSI), the Commissioner programme – which trained 11 people with Down Syndrome and put them at the core of the Congress throughout the whole process, and trained over 300 delegate facing employees in Glasgow – was really inspiring. It obviously left a lasting impact as the training programme has been developed and inserted into the new recruit induction at the Science Centre in Glasgow. With Union of International Cancer Control (UICC), their summit is what Dr Cary Adams described as a ‘game changer’ through their powerful collaboration with three enormous UN agencies it can change cancer care in the community for the better. So many great stories from three very diverse organisations but it’s easy to see the massive impact of all three – different, but all very powerful all the same. UICC are putting their funds towards further advancing the treatment for the cancer programmes taking place in Mexico, which is fantastic. The conference has left a legacy there which has resulted in a change that will better people’s lives in the country. With next year’s conference being in Cape Town, SER very much wants to use this as capacity building opportunity, enabling them to pass the knowledge gathered so far onto delegates in Africa, and raising the awareness of the importance of ecological restoration. We want more submissions. The more stories we have, the more associations and destinations can learn from how we can work together to create positive change. It doesn’t matter what field they might be in, we can all learn something from other associations and practises on how to create an impact. It’s a very open and inclusive award, so there’s no reason why countries from all over the world shouldn’t be sharing stories and encouraging associations to put them forward for the award. It doesn’t matter the size of the association, because the impact doesn’t have to be huge – it can be little things that make a difference. We, in the meetings industry, often talk about how important association conferences and meetings are from an economic impact standpoint. Bringing in thousands of people is fantastic for the city. It helps with job creation, spending and building the industry. We have proven testimonials of the economic difference of conferences coming to BestCities destinations. However, it is also a game changer in destinations when we see the societal impact as a result of the conference taking place. It encourages knowledge and culture transfer in fascinating ways. For example, when we can actually see policy changed in the destination as a result, children are educated in a different way or it gets the community engaged and educated in areas they knew little about, there is such huge value. You can really see the positive changes and results from the submissions this year. Incredible Impacts 2019 will launch in January, and associations will have until 30th of June to submit to the first round. 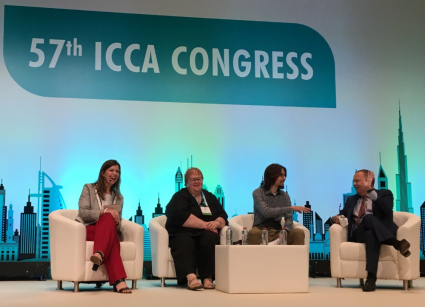 Next year’s winners will be presented at ICCA Congress in Houston and will win a grant of $7,500 to invest into creating more incredible impacts. Look out for the announcements next year via BestCities and ICCA news. Find out more about applying for BestCities’ annual conference awards or read more of our thoughts on emerging conference trends.